Wuhan University is a key university directly under the administration of the Ministry of Education of the People's Republic of China. It is located in Wuhan, the capital of Hubei Province, and known as "the thoroughfare leading to nine provinces". The university features spectacular natural surroundings with the scenic Luojia Hill in it and the beautiful East Lake by its side. Its 373 hectares campus is wooded and green, and has fragrant flowers everywhere all the year round. The buildings are in special architectural styles, magnificent and mansion looking. 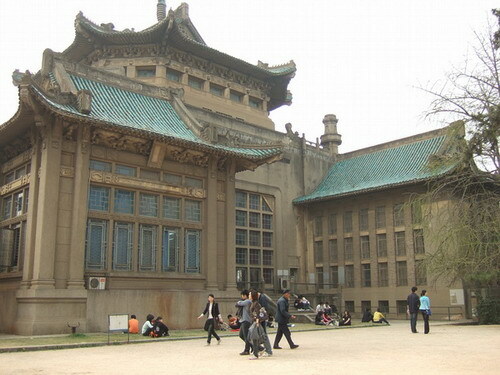 Therefore, Wuhan University is acknowledged as one of the most beautiful universities in the world. 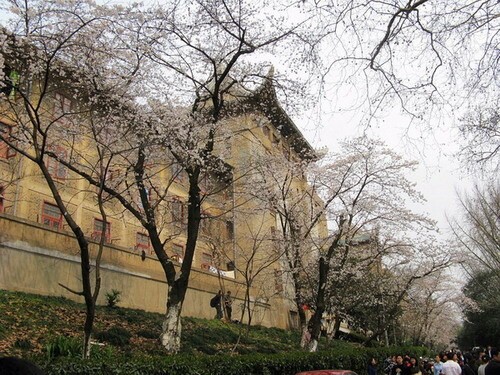 The University dates back to Ziqiang Institute, which was founded in 1893 by Zhang Zhidong, governor of Hubei and Hunan Provinces in late Qing Dynasty after the Qing Government approved his memorial to the throne. 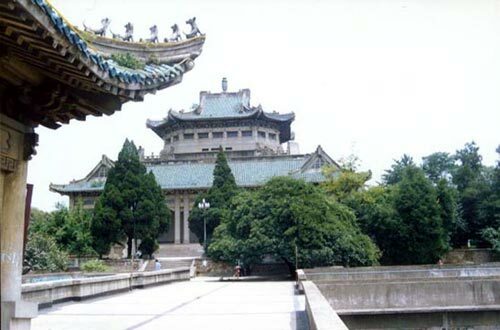 Later, its name changed for several times before it was named National Wuhan University in July 1928. By the end of 1946, the university had six colleges, i.e., the colleges of liberal arts, law, sciences, engineering, agriculture and medicine. Wuhan University had a glorious innovative tradition and enjoyed a very high academic prestige. With the approval of the State Council of China, new Wuhan University was founded on August 2nd, 2000 with amalgamation of four first-rate universities original Wuhan University, Wuhan University of Hydraulic and Electrical Engineering, Wuhan Technical University of Surveying and Mapping, and Hubei Medical University. At present, Wuhan University has 36 schools in 6 faculties and 3 A-Level Grade Ⅲ affiliated hospitals, covering 11areas, namely philosophy, Economics, Law, Education, Literature, History, Sciences, Engineering, Agriculture, Medicine and Management, with 111 bachelor degree program, 296 master degree program, 208doctoral degree programs, and 32 post-doctoral stations. The University now has more than 50,000students, including 32,000 undergraduates, 18,000 graduates and 2300 foreign students. The teaching staff consists of more than 3,600 teachers, including 2,300 or so professors and associate professors, 4 academicians of Chinese Academy of sciences,8 academicians of the Chinese Academy of Engineering, 2 academicians of the international Eurasian Academy of Sciences,8 well-known senior scholars of arts and social sciences, and 8 lead scientists of the National 973 Project. There are numbers of large well-equipped teaching buildings, laboratories, gymnasiums, sports grounds, swimming pools, archive buildings and a specimen building. It has 4 state-level key laboratories, 2 national research centers of engineering, 7 national research centers for humanities and social sciences, 10 national bases for basic science talent development, 1 national education base for cultural development of university students. Since the 1950s, Wuhan University takes a lead in enrolling international students in China. The university has recruited and trained several thousand foreign students coming from more than 109 different countries and regions. All the students have received systematic training and a substantial part of them have earned Bachelor, Master or Doctoral Degree. Wuhan University accepts international students into its Bachelor, Master, Doctoral programs as well as all other advanced programs in liberal arts, sciences, and medicine etc. The university also provides a special Bachelor of Arts program called the Chinese Language for International Students. The College of Foreign Students Education of Wuhan University is a dedicated school for foreign students’ enrollment, administration and management, as well as the Chinese language teaching and training. It is also one of the few centers for HSK examination and for the qualification examination for the teachers teaching Chinese language to foreigners in China. The college, with abundant teaching resources and quality teaching and scientific research strength, has 31 teachers giving Chinese language courses to foreigners. Among them, 14 are professors or associate professors, 6 are the members of the World Chinese Language Society for Foreigners, and 31 are the members of China Chinese Language Society for Foreigners.